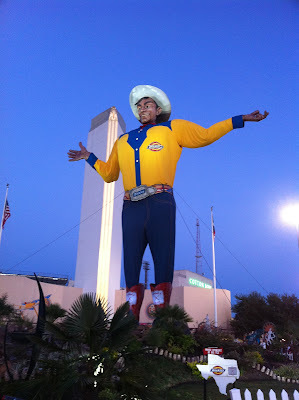 Big Tex, the iconic State Fair mascot since 1952. 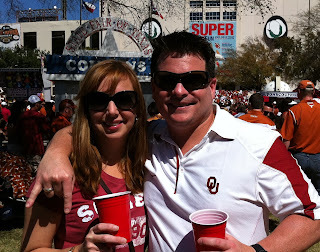 Hubby and I at the 2010 game. I received a few emails this week asking, "What to wear to the Texas/Oklahoma, Red River Rivalry game?" This is a great question because this is not your typical football game since it's held at the Texas State Fair. It is also a major rivalry game for both teams. It's been taking place since the early 1900's. One of the main reasons this event is so dope is because of the location at Fair Park and that your ticket to the game is also your ticket to the fair. I've assembled my tips for a stylish and fun day. The game starts at 11:00 am. Get there early. Parking is limited at the fair grounds and the lots fill up quickly. We usually arrive by 8:00 am. 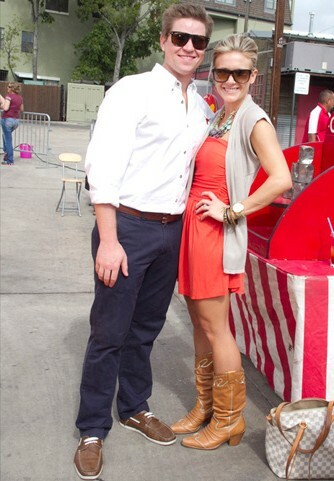 As soon as you enter the gates, head to Cotton Bowl Plaza. It's on the northwestern side of the stadium. Everyone hangs out here because of the Fletcher's Corn Dogs and the cheap beer tents. Alcohol is sold outside of the stadium but not inside. Make sure you take plenty of cash. There are ATM's at the fair, but the lines are always long. You need coupons to purchase any food or beer. Coupons are 50 cents each. Keep an eye on the weather. There is a 40% chance of rain tomorrow night. I'm definitely bringing my rain gear in my cross body bag. Kevin Fowler plays tomorrow night at 8:30 at the Chevy Main Stage. 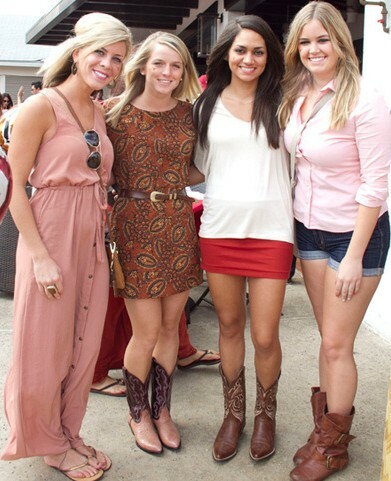 I hope everyone has a great gameday!